According to Dr. Marti Olsen Laney in The Hidden Gifts of the Introverted Child, temperament is hard-wired. That means, although we can grow and change over time, we’re born as either introverts or extroverts. And you can tell fairly early on — children begin to show signs of introversion or extroversion as early as four months of age. Many introverts have sharp minds and are naturally curious. They wonder how the world works or what makes a person tick. They’re not afraid to ask the big questions, as they seem to be on a perpetual quest to understand why. As a baby, your child cried or thrashed around when in places where there was lots of noise or activity. In 2004, Harvard psychologists Jerome Kagan and Nancy Snidman found that babies who are very reactive to unfamiliar stimuli tend to grow up to be shy, timid, or introverted adults. As your child gets older, he or she may shut down, cling to a “safe” person, or have meltdowns in the face of crowds, new people or situations, or busy environments. Compared to extroverts, introverts are more easily drained by stimulation. A study published in the Archives of Disease in Childhood – Fetal & Neonatal Edition found that babies born low-weight or pre-term are more likely to be introverts. Around an unfamiliar person, your toddler avoids eye contact and goes quiet. Private by nature, introverts tend to need time to warm up to new people; your child is no exception. However, at home, where your child feels comfortable, he or she won’t hesitate to tell you a story or be silly. It’s almost like your toddler is a different person around you and the family; his or her real personality comes out. Introverts get easily drained by socializing and need downtime to recharge their energy. When your kid spends time with other children, notice how they react. Do they seem tired, cranky, or overwhelmed after a play date — even if they had fun? If so, they might be an introvert. Similarly, your child might cry or have a meltdown after a very busy day with no breaks. Not all introverted children have separation anxiety, but it’s quite common for them to experience it. Introverts, in general, are more at-risk for social anxiety and depression than extroverts, and children are no exception. What happens when you drop off your toddler at preschool? Does he or she cry, cling to your leg, and beg you not to leave — although the other kids seem fine? If so, your child might be an introvert experiencing separation anxiety. Here are some tips on our website for highly sensitive people for how to deal with separation anxiety. By definition, introverts are inward personalities. They tend to struggle with word retrieval, because, according to Laney, they may rely more on long-term memory than short-term memory. When speaking, your child may pause frequently, searching for just the right word. They may get frustrated at not being able to express what they mean. As toddlers, they may be drawn to stories, books, and art because these give them a language to understand and express what they’re thinking and feeling. Introversion is genetic, and introverts will stay introverts for life. 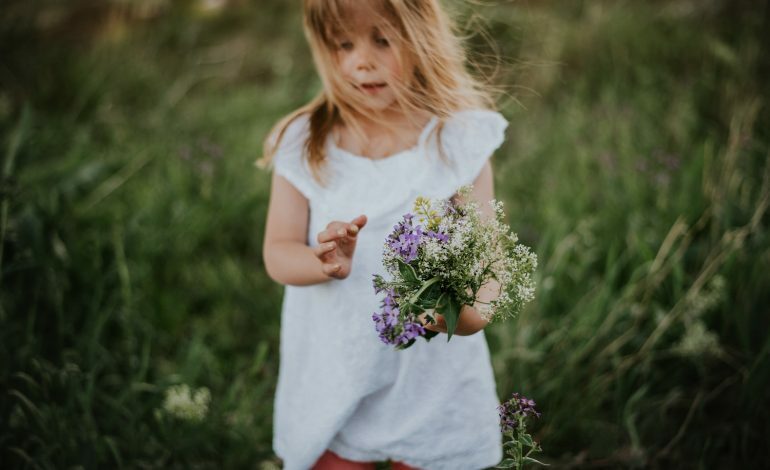 This means — although your child may surprise you at times — he or she will generally always have a preference for calm, minimally stimulating environments (and ample alone time). Nevertheless, as the parent, you play a huge role in shaping your child’s personality — and science backs this up. Kagan and Snidman found that parents who were protective of timid children strengthened their shyness. However, when parents encouraged some sociability and boldness, the children became teenagers who showed less inhibition than their more fearful counterparts. If you’re raising an introverted child, celebrate their quiet ways. Teach them to manage their energy and not feel guilty about needing time alone.